It's both comfortable to wear and reasonably priced. Let's face it: With the way things are going, you won't be able to dodge virtual reality forever. 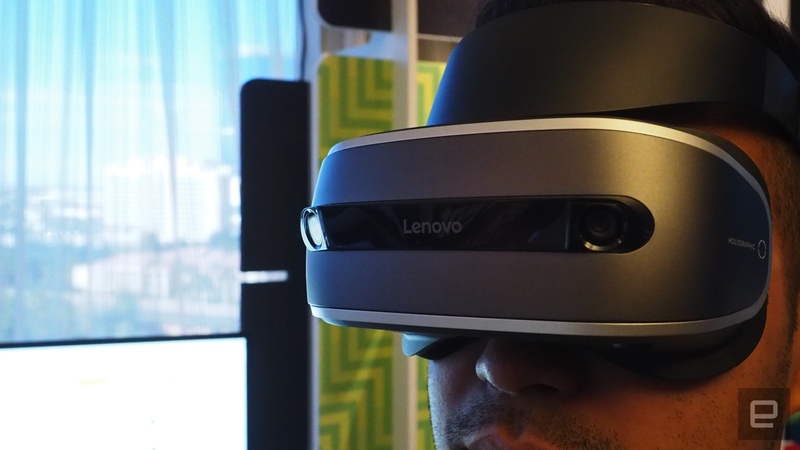 That's exactly why Lenovo has been working on a relatively inexpensive VR headset for Windows machines, and we got the chance to strap one on and take it for a spin. Before we go any further, though, let us answer the question you're surely asking: No, there's no word yet as to when the headset will ship (aside from "later this year"). That said, Lenovo has said the device will cost less than $400 when it goes on sale. So, what exactly will you get for the money? 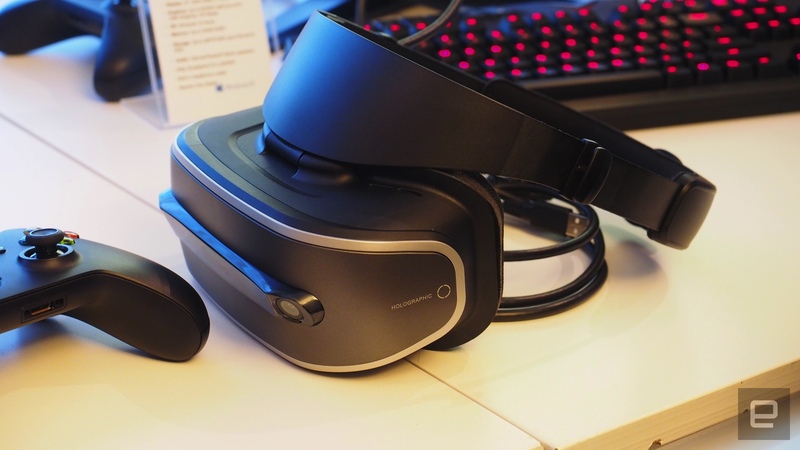 A surprisingly comfortable headset that manages to do room-scale VR on the cheap. See, existing headsets like the HTC Vive weigh around 550 grams, with most of that weight hanging off the front of your face. Lenovo's approach is a little more elegant. The final model will be somewhere around 350 grams, and is designed to rest mainly on your forehead as opposed to the bridge of your nose. I only got to wear it for about a half hour, but I felt none of the fatigue that long play sessions with the Vive can leave people with. For those keeping track, Lenovo's headset is also about 100 grams lighter than the Oculus Rift, though we'll see if any of other partners building headset that work with Windows Holographic can beat that. Beyond that, you're looking at a pair 1,440 x 1,440 OLED screens floating in front of your face -- too bad the version I played with didn't actually turn on. More importantly, Lenovo's headset is just as good at getting out of your face as it is as sitting in front of it. The main display assembly sits on a hinge that you can just swing up and out of your way, perfect for when you need to take a quick breather or check your phone for, well, whatever. Turn the headset around and you'll find a dial that lets you adjust the fit with more finesse than the straps you'd usually find on a headset like this. Ultimately, the most interesting bits might be the two cameras embedded right up front -- they're what allow Lenovo to provide room-scale virtual experiences without making you set up Vive-style light posts for tracking. As is usually the case, the most interesting parts are also the ones that offer up the most question marks. This is the first time we've seen this kind of self-contained setup in a proper, big-name, PC-based VR setup, but we can only guess how well it actually works. After all, Lenovo's Phab 2 Pro used a slew of cameras (along with a bunch of sensors and Google's Tango software) to do some conceptually similar depth tracking, and it didn't always work as well as I'd hoped. It's possible these cameras will also allow for live footage to stream to the pair of screens, offering users a view of what's in front of them. From there, we have to wonder if HoloLens-like mixed reality applications are possible too. It'll be a while before Lenovo's headset hits store shelves (or even gets a proper name, for that matter) but man: Between the cost, comfort and potential, Lenovo might really be onto something here.